We sell more Willys Jeep publications than anyone, anywhere! The reason being, we own Original Reproductions, the oldest and most respected publisher of all Jeep related manuals. We print and sell every Jeep manual from 1941 through 1980. These include every civilian Jeep Owner's Manual, Jeep Mechanic's Manual, Jeep Service Manual and Jeep Parts List. 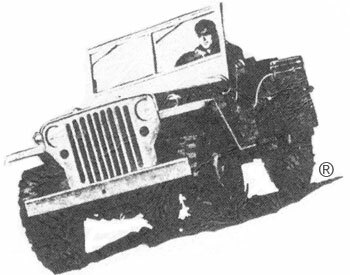 We also print and sell every military Jeep Technical Manual and Illustrated Parts List. We have the manuals for all of the military Jeep trailers. If you are looking for any popular publications for just about any Jeep vehicle we have them as well.